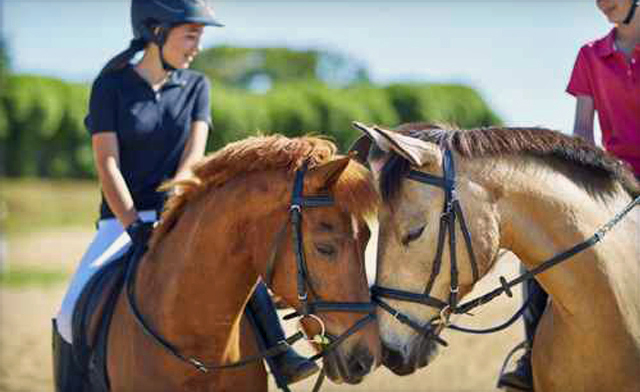 Lantern Lane Farm offers seasonal riding programs and camps for children and teens to provide natural horsemanship, stable management, and riding experience and knowledge. Our goal is to give children an opportunity to learn all about the noblest of all creatures, the horse and pony. To learn about the sensitive nature of horses, how to ride them, and how to be safe around them. Children will have daily riding lessons, as well as un-mounted lessons to teach them horsemanship skills and what is involved in caring for horses. The Camp is directed by Debbie Craig, graduate of Meredith Manor International Equestrian Centre with degrees in Riding Master, Riding Instructor, and Camp Instruction. 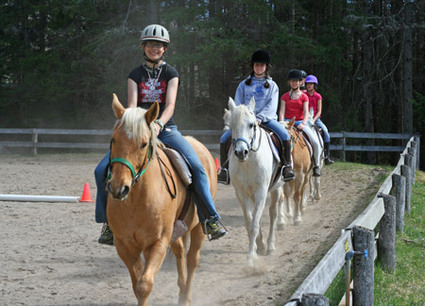 Campers will ride with a qualified riding instructor as well as learn all basic aspects of horsemanship. By the end of the week, Campers will have learned the basics of how to trot while on the lunge line and some ability to steer the horse around the arena. They will be able to identify the parts of the horse, saddle and bridle. They will have some knowledge of the names of the colors of horses and will be able to identify some of the American and Europeam breeds of horses. We developed a half day program for younger children who need to be picked up at lunch time. 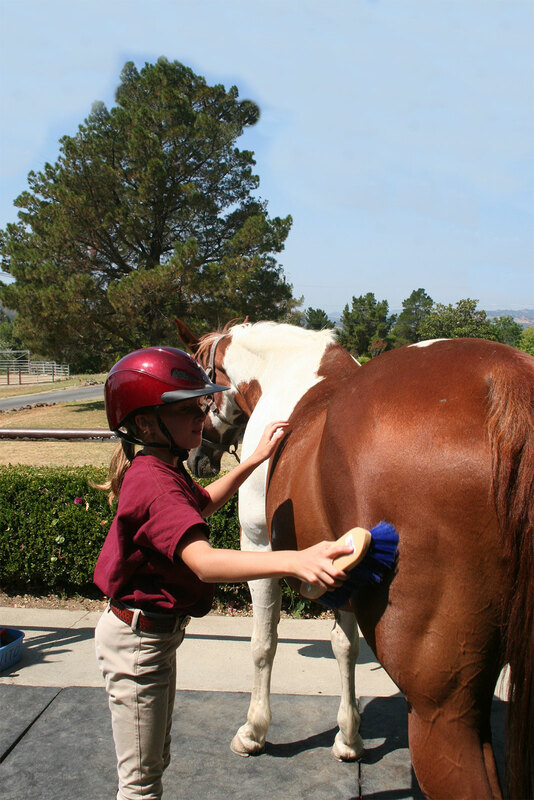 A safe schooled horse or pony will be provided for each child to ride, care for and love for the duration of camp. Special events include such as: lunch rides, arts and crafts, games on horseback, horse shows, and drill teams depending on the riding level of the camper. Riding boots (not hiking boots) which are always to be worn around the horses and long pants.